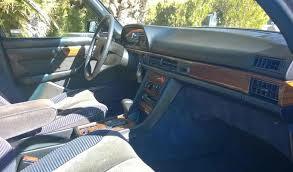 What is the ideal material to have covering the seats in your car? Up until very recently I had given this topic very little thought. It was a bit like asking what gin do you want with your G+T. I’ll have Bombay Sapphire in my glass and leather on my seats. Next topic please. She doesn’t look too happy but this is good stuff. However I was recently reading a post on another website (Driven to Write if you must know) discussing Rolls Royce’s Silver Shadow. Right at the very end of the article, almost like a throwaway comment it was suggested that leather was not the last word in luxury for uber expensive cars that the truly wealthy are driven around in. “Wool twill” were the two words that stopped me in my tracks. Of course I knew what wool was. I had heard the word twill used in relation to military uniforms but to be quite honest I didn’t know much else about it. According to wikipedia (and the internet is never wrong) twill is a 5000 year old weaving technique “with a pattern of diagonal parallel ribs. This is done by passing the weft thread over one or more warp threads and then under two or more warp threads and so on, with a “step” or offset between rows to create the characteristic diagonal pattern.” Isn’t this the type of interesting fact that keeps you coming back for more? 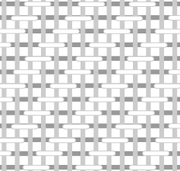 Example of twill weave. Addicted to Cars truly is an educational experience, no? It really needs to be accompanied by a picture to make any sense. It is certainly a hard wearing fabric and for this reasons it was often used as a material for workwear (jeans are twill) or military clothing. It seems though the first time that it was used by the type of person who could afford a “Roller” though was the late 19th century. Sir Pratap Singh, a wealthy Maharaja and avid Polo player found the trousers typically worn on horseback were neither comfortable nor hardwearing enough. He invented his own breeches – baggy at the thigh and tight along the calf and made them from wool twill. He was also the Regent of Jodhpur. The name stuck. So wool twill has some heritage, is warm to the touch, holds you firmly in the seat, wears well and resists stains. Maybe there is something to this theory after all. There are a couple of other options worth mentioning though before we compare to it’s chief competitor. During the ’70s and ’80s there was a new kid on the block. Velour. In fairness I’m pretty sure the workers at Crewe never deigned to deal with this brushed velvet. However it was to be found upholstering many expensive cars (notably Mercedes’ W116 and W126 flagships, even the lengthened L models). I can’t think of any car on sale today so clothed. I think my prejudice against velour stems from seeing the type of track suits manufactured from this material that seemed to proliferate as the eighties drew to a (sartorially difficult) close. I really didn’t like feel of it nor the pastel shades of blue and brown it tended to be specified in. The warmth and lack of slipperyness it offered can’t possibly overcome these (to my mind) glaring drawbacks. 1983 500 SEL. This is the colour that really put me off velour interiors. The new buzzword is Alcantara. It seems that around 2008 some bye law was introduced obliging European manufacturers of sporty, expensive cars to be at least partially attired in this (extremely expensive) faux suede. You might think that they finally cracked it by this stage but I’m sorry to report that it’s cons far outweigh any pros. It may be only on the tactile controls or it maybe covering half the seats. If you choose the full fat option it may even be everywhere including the headlining. This fabric doesn’t respond terribly well to sweat (you are meant to wear gloves while driving-completely taking away the benefit of having a nice fabric on your steering wheel), spills or kids. Unless you keep the car spotless the suede will rapidly lose its lustre. Apparently this substance is geographically protected! It can only be produced to a secret recipe in a particular region in Italy. Despite the initial wow factor I can’t think when I would ever choose this fabric on any car I owned. Don’t spill anything and be sure to wear your gloves! Many uses have been found for animal hides for well over 7000 years. During this entire time it has always been an expensive (although not always an exclusive) material. Obviously the tanning and curing process has hugely changed over the millennia but it clearly remains the very embodiment of the theory that nature cannot be replicated by man. While I’m saying this I can’t rid my mind of the feel of the horrible fake leather that was to be found on the half “leather” interior of a Peugeot 306 I once drove. I’m not for a moment suggesting that other manufacturers haven’t done the same, but the shiny, slippy terribly cheap to the touch material on those seats seems impossible to forget. The old rules apply-you get what you pay for. This of course is not the beautiful, soft and supple material to be found beneath well heeled bums. The kind of leather produced by (the now defunct) Connolly Leather is truly head and shoulders above everything else. It’s hard wearing, waterproof and resists stains. Once maintained it develops a beautiful patina and will only become warmer and more welcoming to the touch as the decades pass. Providing the seat is well shaped any lack of grip in the hide should not be an issue and if the leather is a little cold surely James will have the car warmed before you get your Prada loafers anywhere near the lambswool. 1966 Bentley S3. Now that’s what I call an interior! There will always be pretenders to the throne. Recent years have seen the rise in popularity of boutique spirits. The purveyors of Hendrick’s Gin for example will tell you that their mouthwash is far superior to all other gins. However, their product contains cucumber. This is one of the most repellent substances known to man, yet many convince themselves that it actually tastes good. I love to see people innovating, trying to find better ways to do things. Someday their efforts may bear fruit. 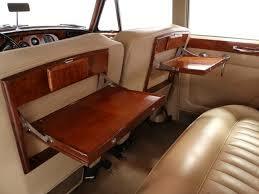 However here and now I want Bombay in my glass and leather on my seats thanks. Doesn´t the material choice depend on the car and also the owner´s “lifestyle”. At some point last year I saw an ad for a 1983 (or so) Opel Senator 3.0. The car had black paint and a deep blue velour interior – it might even have been some kind of suede. It looked beautiful. And I though to myself that car is not one for a person who takes it out of town, anywhere near muddy grass or has children under 25. It would be wrecked. I would have a bad conscience about buying a car like that and getting mud on those seats. The same goes for the Queen: she can afford the soft loveliness of wool. In my case the choice might be between velour which is quite hard wearing or leather which is even more durable. As it happens, my car has black leather. I think however that it would be a small compromise to have the velour material that was also an option. I ran a version of the car with this material (prior to parenthood). I think the car could have tolerated kids. That would be my preferred choice, all things considered. Then again, if we move into the world of Lancia, choosing leather often meant being able to pick a wide variety of colours, a much wider choice than other makers offered. Then you´d have to pick leather and enjoy the rich colours available. Perhaps I am trying to say it´s all case dependent. Sometimes leather, sometimes fabric. Whichever you prefer, the colour choices these days are very poor. Though much to my surprise, BMW seem to have some nice finishes (though their customers seldom choose them). Now, I shall go back to my imaginary world and try to work out if I like the blue velour of a Lancia Kappa or the blue suede of the Opel Senator better…. Yes Richard you are right about horses for courses. I am trying to overcome my prejudices but they just keep bubbling back to the surface. I just know that if I was ever to own such a car I would want that lovely patina that comes with old well maintained leather, even if there are genuine alternatives.